The best Nitric Oxide boosters are essential for cardiovascular health as well as erectile potency in men and sexual response in women. 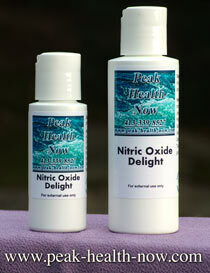 BEST nitric oxide boosters, plus synergistic ingredients that magnify the benefits. Nitric Oxide (NO) is not only a vasodilator (relaxes the walls of the blood vessels to allow larger volume of blood flow). 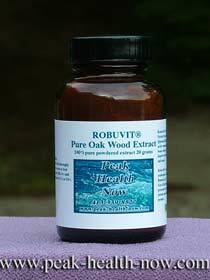 In addition, it promotes the healing and health of the endothelial lining of the blood vessel walls to keep your circulatory pathways elastic and strong. Recent studies suggest that damage from hypertension, high cholesterol, and other coronary heart disease factors impairs the ability of the endothelium to produce necessary NO. Compounds that increase NO production can be of help in reversing the vicious cycle of inflammation, weakening of blood vessels and further lowering of NO production capacity of the body. Below, I describe the action of various nutritional compounds proven to increase NO production. L-Arginine is well-known as one of the BEST Nitric Oxide boosters. NO, a small molecule synthesized from Arginine in the body, is the endothelial relaxing factor (EDRF). 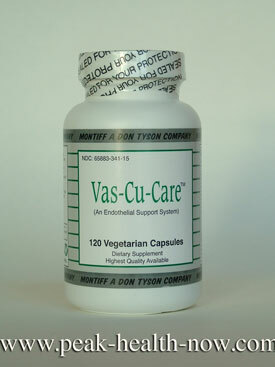 It plays an essential role in the regulation of vascular homeostasis. In the cardiovascular system, Nitric Oxide’s important functions are for the modulation of cardiac contractility, regulation of vascular tone, and the prevention of vessel injury and Atherosclerosis. It is also an important free radical scavenger. Studies at major universities, as well as studies funded by the National Heart, Lung, and Blood Institute support the importance of Nitric Oxide, its role in the endothelial-vascular system of the body, and its relationship to Arginine supplementation. A study “Effect of L-Arginine on Plasminogen-Activator Inhibitor in Hypertensive Patients with Hypercholesterolemia” in “The New England Journal of Medicine”, Jan. 28, 1993 by Korbut, PhD., Bieron, M.D. and Gryglewski, M.D. discussed patients with high blood pressure and high cholesterol who were administered IV Arginine HCL. The infusion of L-Arginine was associated with a decrease in the plasma PAI and cholesterol levels as well as normalization of blood pressure in the hypertensive patients with hypercholesterolemia. WHAT IS THE ENDOTHELIAL SYSTEM AND WHAT IS THE IMPORTANCE OF ARGININE? The endothelial cells are critical to healthy arterial/venal function. They surround the smooth muscle rings and expand the artery’s diameter, affecting the blood carrying capacity. They originate on the outside of the artery and weave through the walls These cells, like human cells, require oxygen and nutrients, and Arginine is essential for their proper function. Endothelial cells make NO from Arginine, which is responsible for the endothelial relaxing factor (EDRF), and plays an essential role in the regulation of vascular homeostasis. 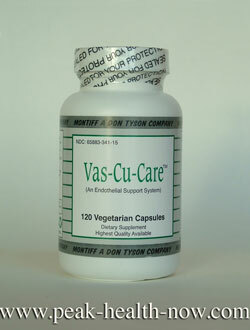 In the cardiovascular system, NO’s important functions are for the modulation of cardiac contractility, regulation of vascular tone, and the prevention of vessel injury and atherosclerosis. It is also an important free radical scavenger. L-CITRULLINE is included in the best Nitric Oxide boosters formulas. 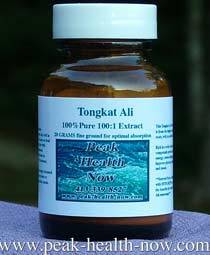 It enhances the production of Arginine in the kidneys, thus helping to increase NO interaction and conversion of L-Arginine. L-CARNITINE is an amino acid, synthesized in the human liver and found in red meat (not found in vegetable forms of protein). Carnitine is important in maintaining a healthy cardio-vascular system and is essential for fat metabolism, increasing HDL levels, and reducing triglycerides. 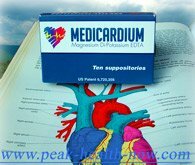 It can protect the heart from myocardial ischemia and benefit people who suffer from angina pectoris. High levels of carnitine are found in the heart muscles and function to supply the heart with the metabolic energy necessary to pump. Carnitine improves arrhythmias, prevents congestive heart failure, may prevent myocardial necrosis, and helps improve the recovery rate of those with myocardial infarctions. Supplementation of carnitine has been shown to improve walking capacity of those suffering from pain caused by blockage in the major arteries (or intermittent claudication). L-Carnitine Fumarate is an active form of carnitine, the most powerful - for increased bioavailability.